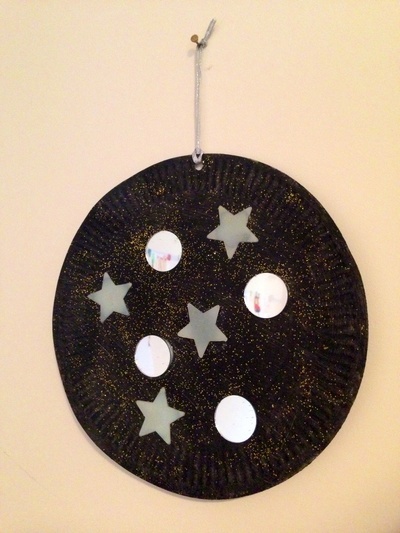 Create your own galactic glow decorations. 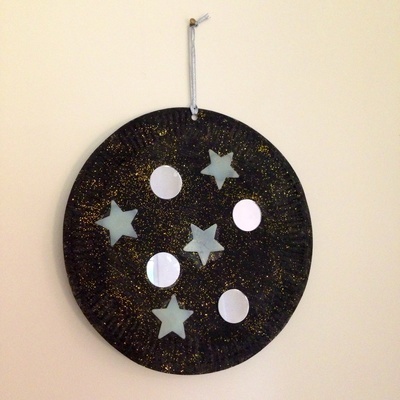 The mirrors reflect light and twinkle in the daytime. The glow in the dark stars shine at nighttime. My kids were excited to hang these next to their beds to look at in the dark. Time: 15 minutes plus drying time. 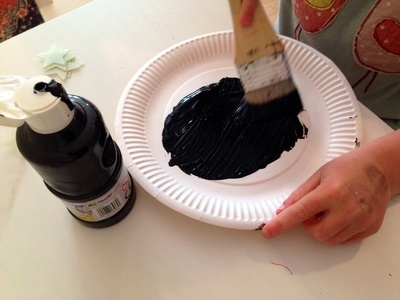 Paint the paper plate with black paint. Sprinkle some glitter on before the paint has dried. 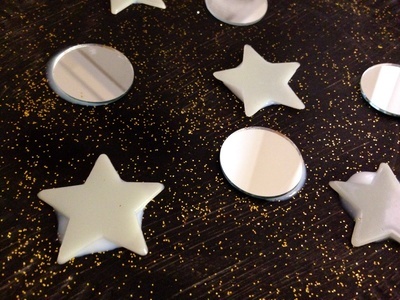 Glue on several glow in the dark stars and craft mirrors using PVA glue (or hot glue gun). 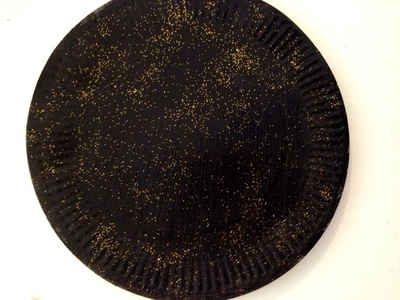 Once dry, punch a hole in the edge of the plate with the hole punch. 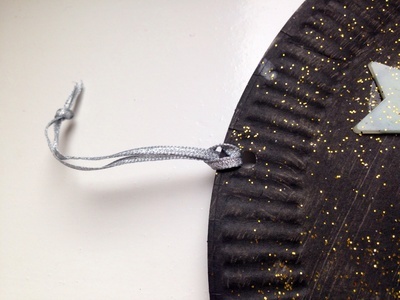 Cut a piece of sparkly ribbon and tie through the hole to make a hanger. Your twinkling glow galaxy is now ready to hang up.